After years of chemicals mismanagement resulting in the widespread contamination of wildlife, humans and the environment, WWF saw REACH as a unique opportunity to close the knowledge gap on chemicals and secure a safer management system for chemicals in Europe. Influencing the content of the much debated REACH legislation and facing one of the biggest and most powerful industries in Europe over 3 years was certainly a challenge. This 12-page brochure gives an overview of the DetoX campaign carried out by WWF during the entire REACH legislative process. 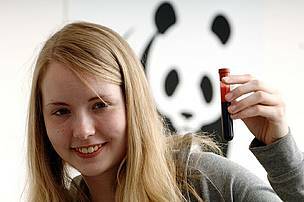 Finnish family daughter participating in the "Generations X" biomonitoring.